Another 50+ mile week - YIPPEE! Hopefully by now you've read about some of our upcoming adventures and noticed that rather than "quality" workouts, a lot of what we need to build is "quantity". 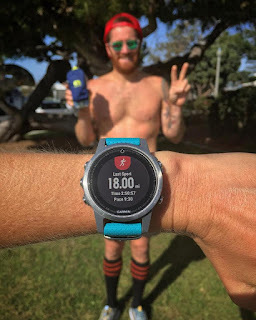 We'll start getting some trail/ dirt mileage and hill workouts in our training over the next few weeks, but for now I'm pleased with where both of us are at fitness-wise.